Total distribution center space exceeds 950,000 sq. ft.
At CDW, everything we do revolves around meeting the needs of our customers. Here's how we continue to be a great company for our coworkers and our customers. 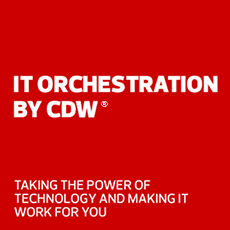 CDW's purpose is to help our customers achieve their goals by providing them with the technology advice and products they need, when they need them. CDW's commitment to diversity includes our coworkers, customers and communities, as well as our supplier partnerships. • We run our business with passion and integrity. • We empower others to do their jobs. • We keep our commitments. • We treat others with respect. • We resolve conflict directly. • We include stakeholders in the decision process. • We live our “philosophies of success” every day. • We make things happen. • It’s only good if it’s win/win. • Good luck many times comes disguised as hard work. • People do business with people they like. • Perfection is unattainable. If you strive for perfection, you’ll achieve excellence. • Pay attention to your weaknesses. If you dwell on your successes, you will suffocate on your weaknesses. • Success means never being satisfied. At CDW, we have a code of business conduct and ethics. The CDW Way Code sets forth the standards of behavior necessary to ensure we live up to our values.